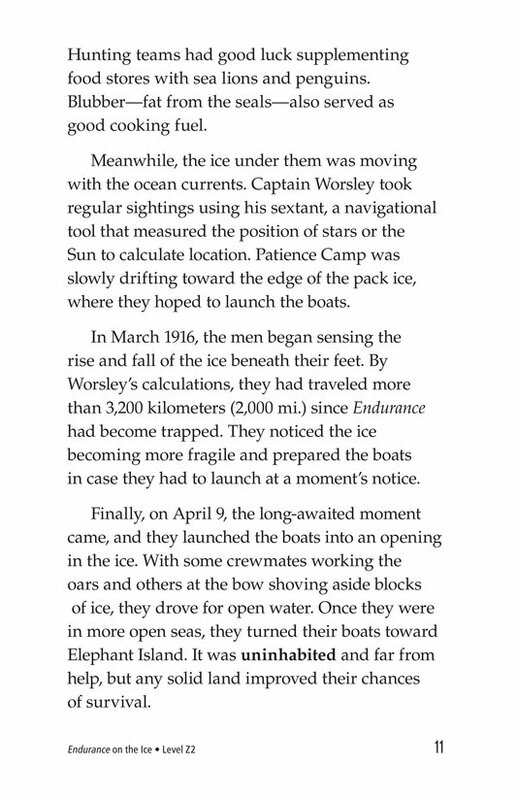 Can you imagine being trapped in the middle of a frozen sea for nearly two years? 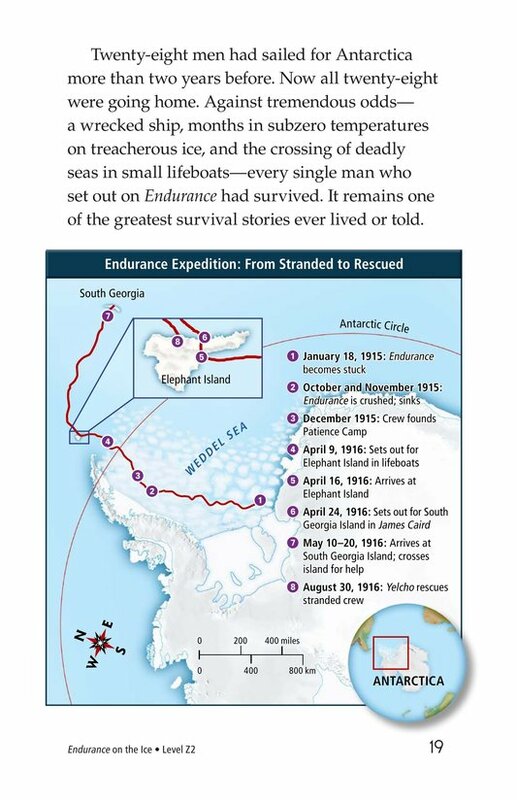 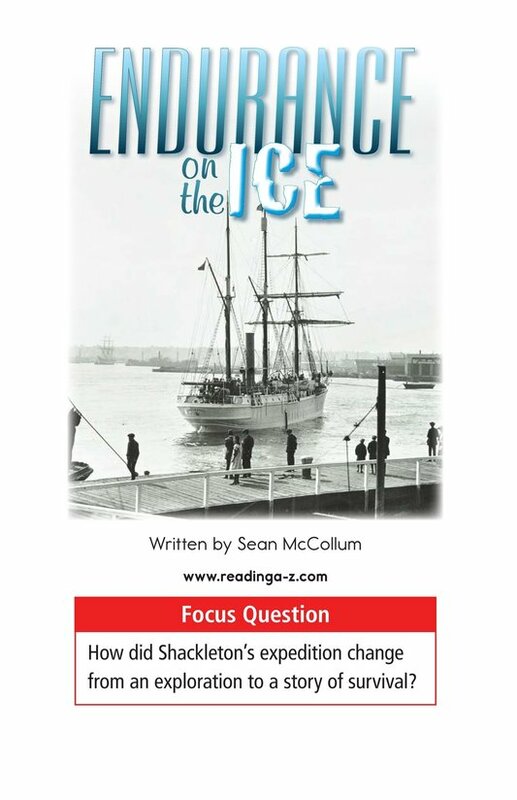 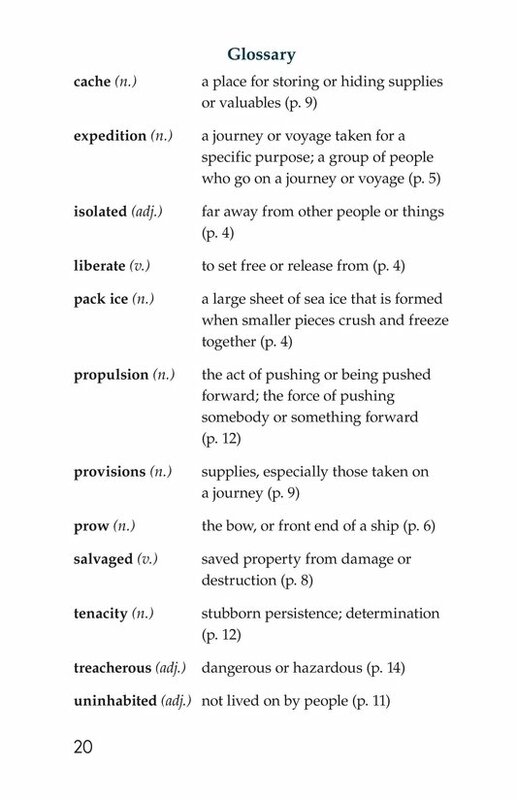 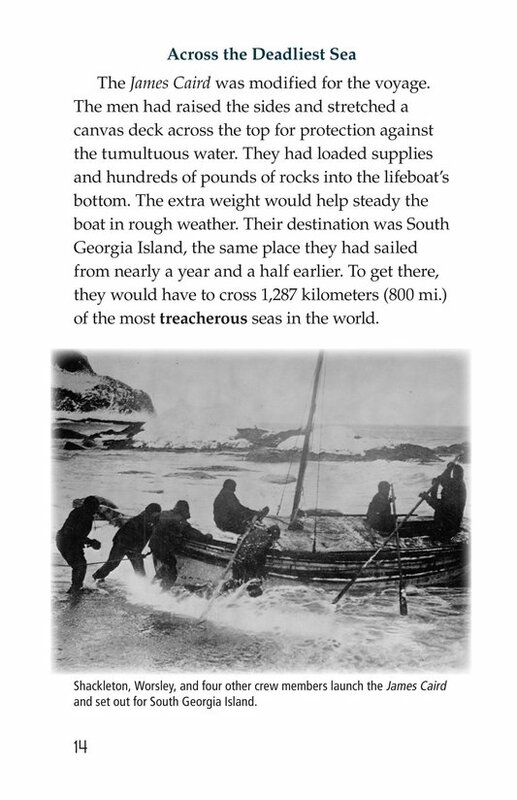 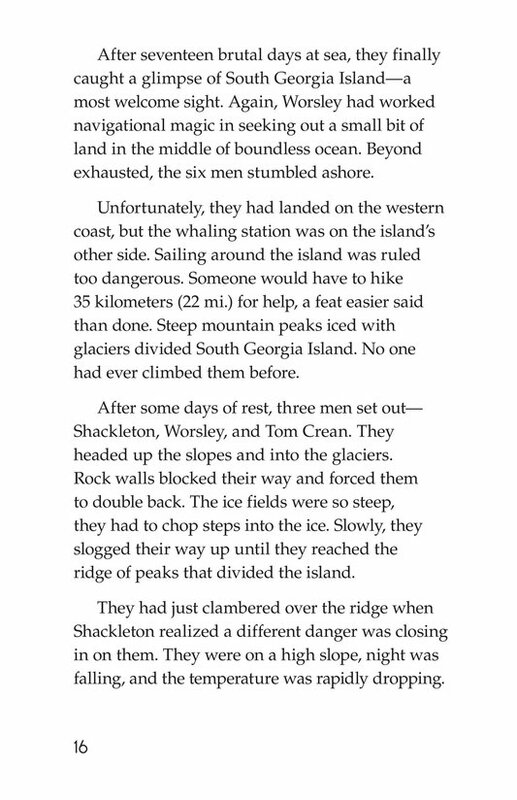 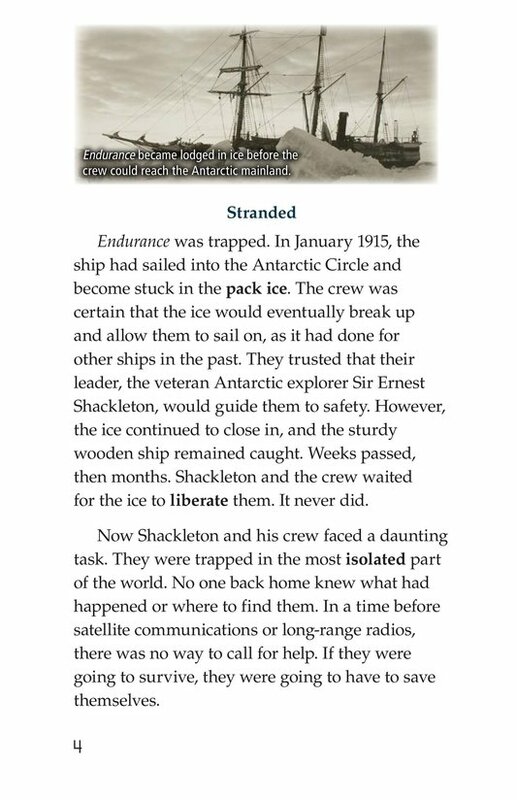 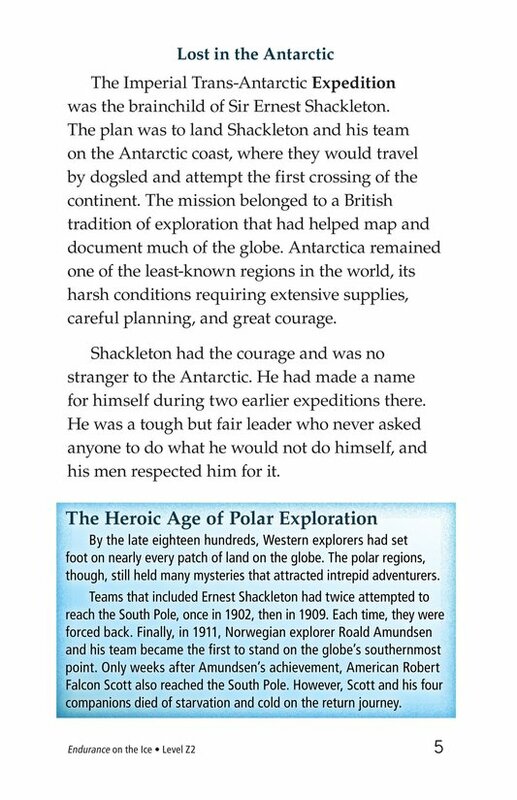 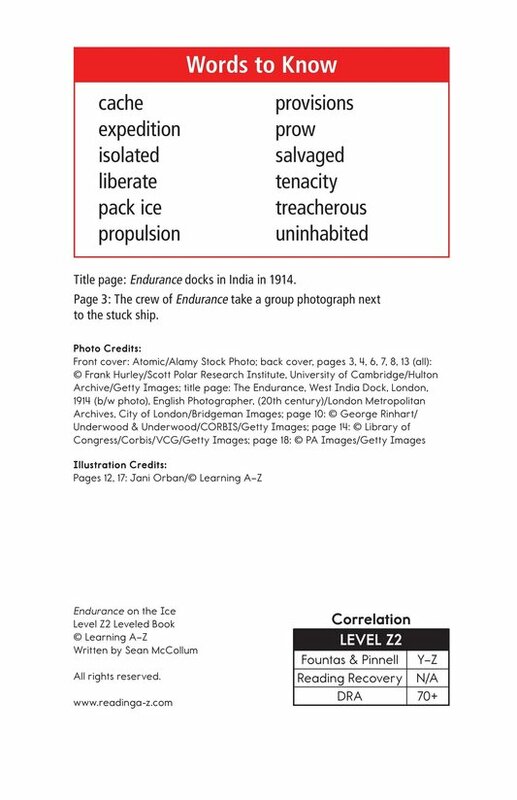 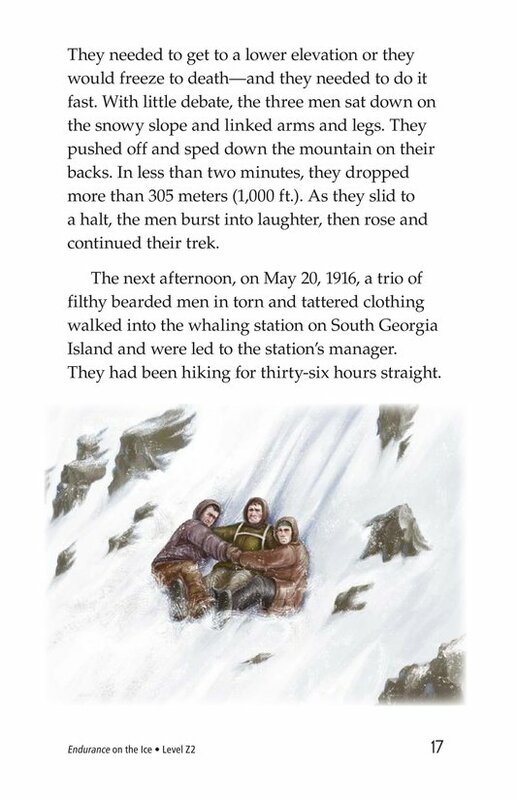 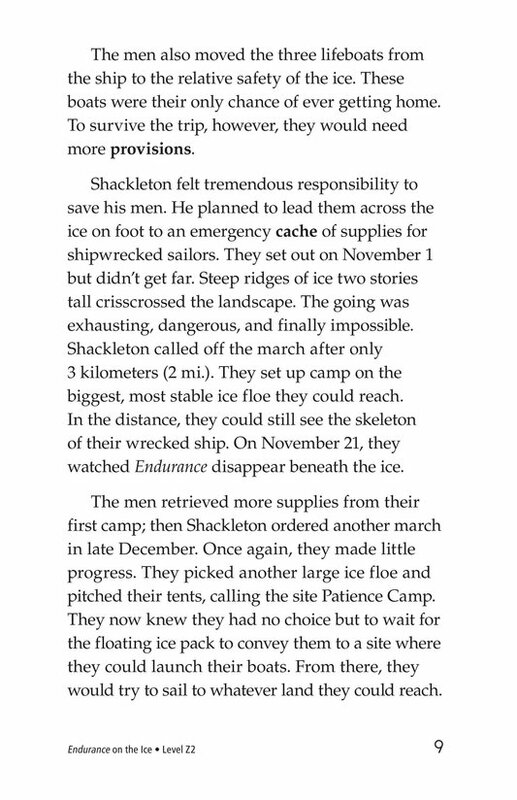 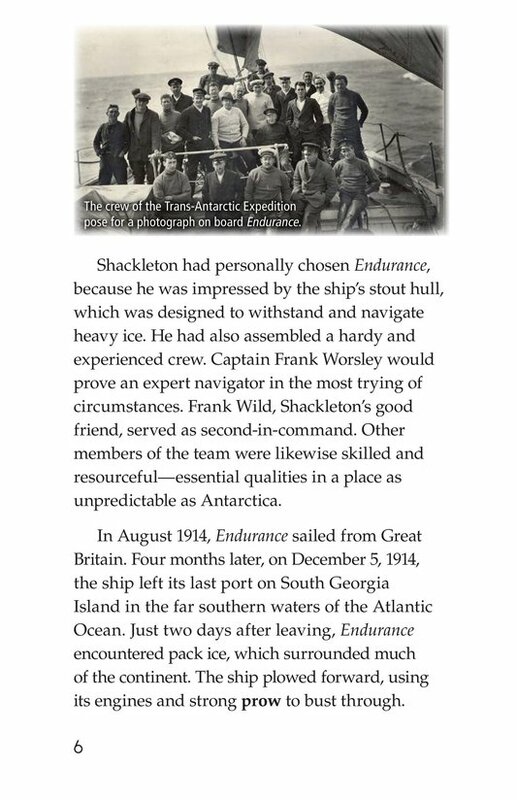 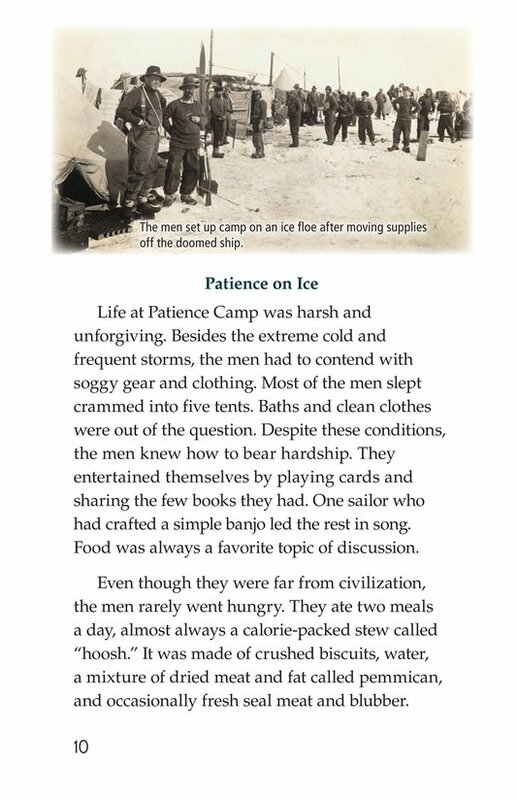 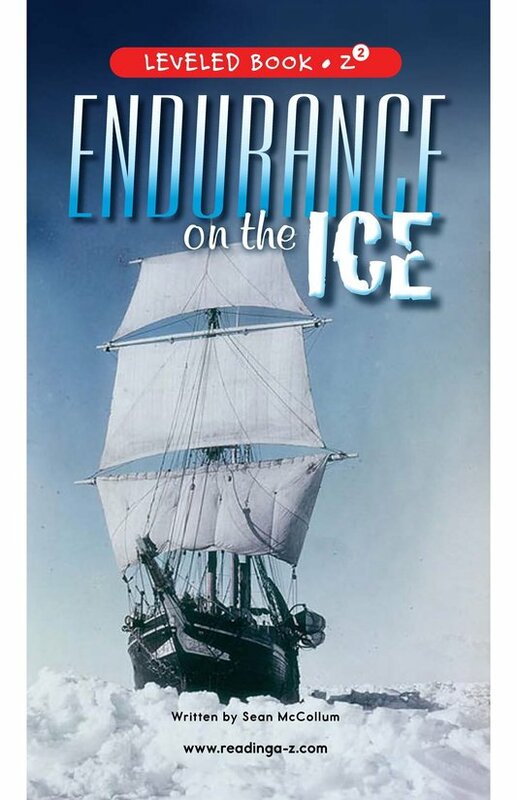 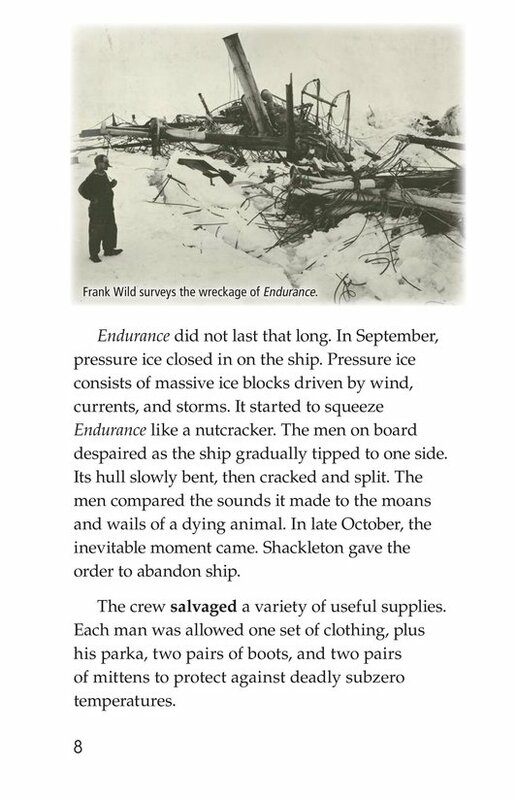 Endurance on the Ice tells the incredible survival story of an expedition gone wrong. 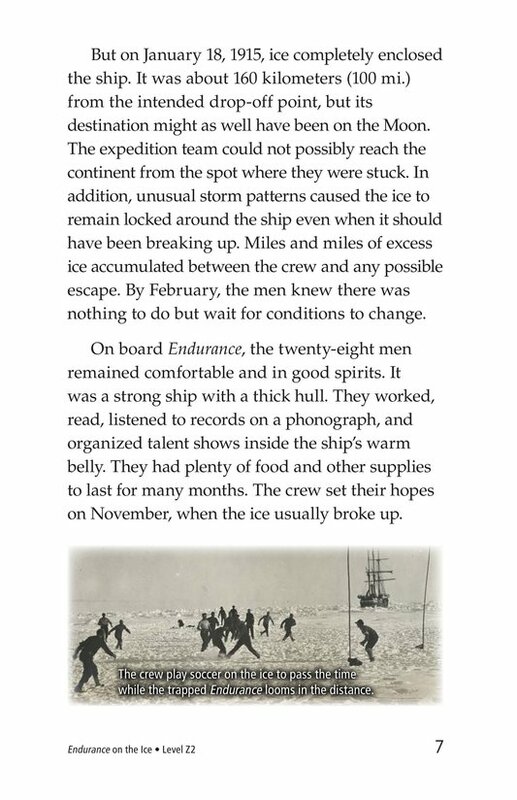 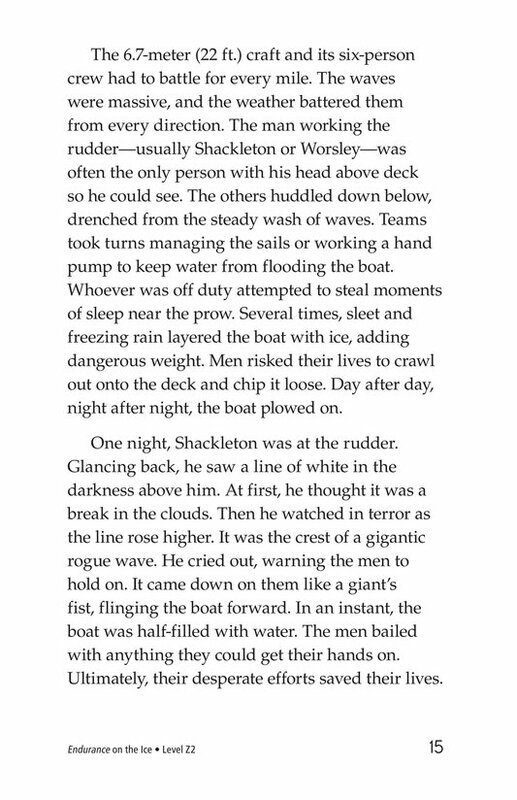 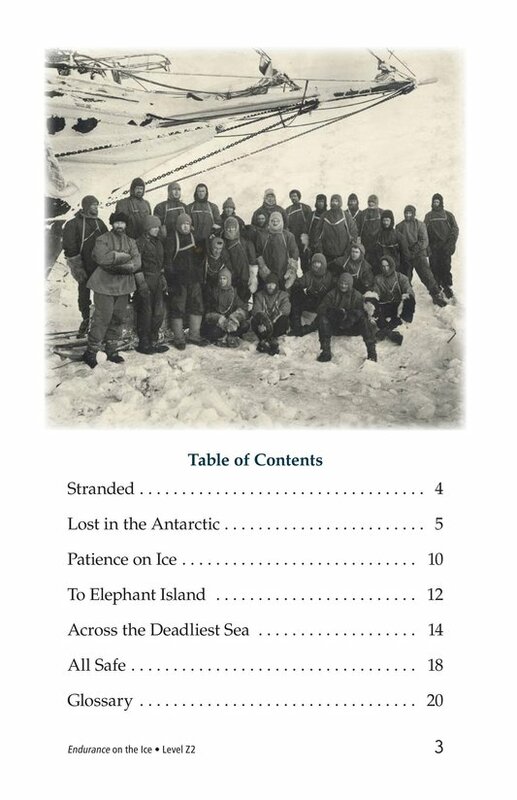 In 1915, the crew of the Endurance found themselves stranded somewhere in the Antarctic. 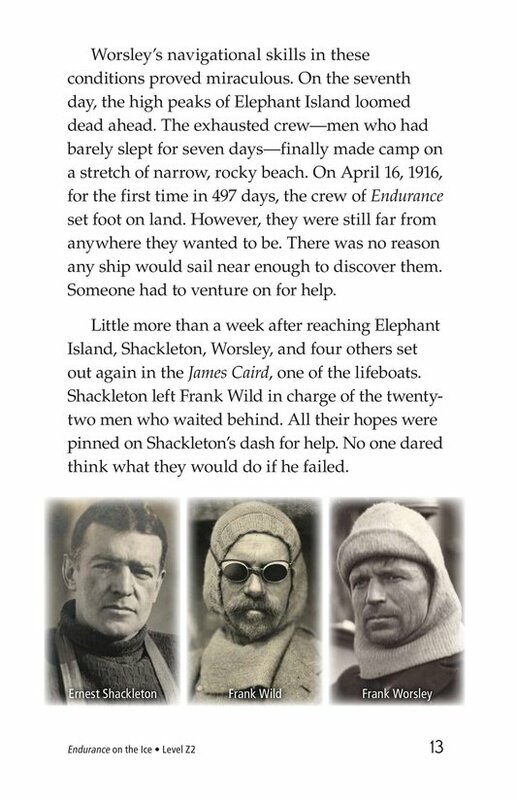 The journey that followed required courage, teamwork, persistence, and strength under treacherous conditions. 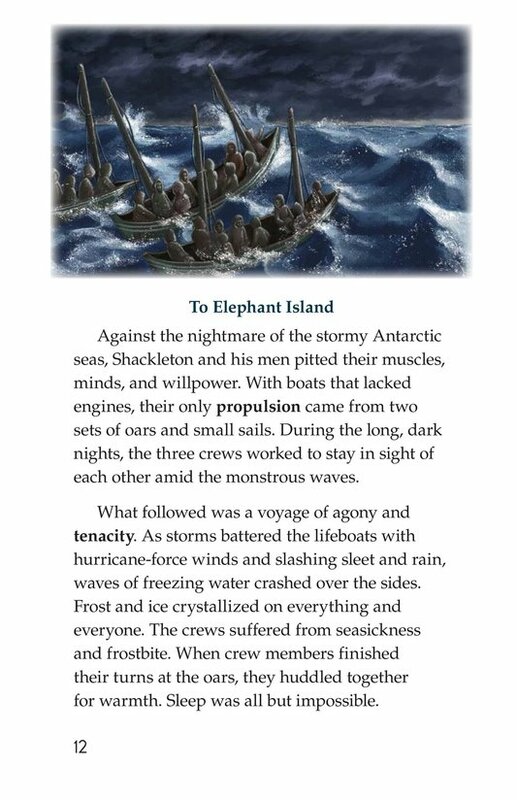 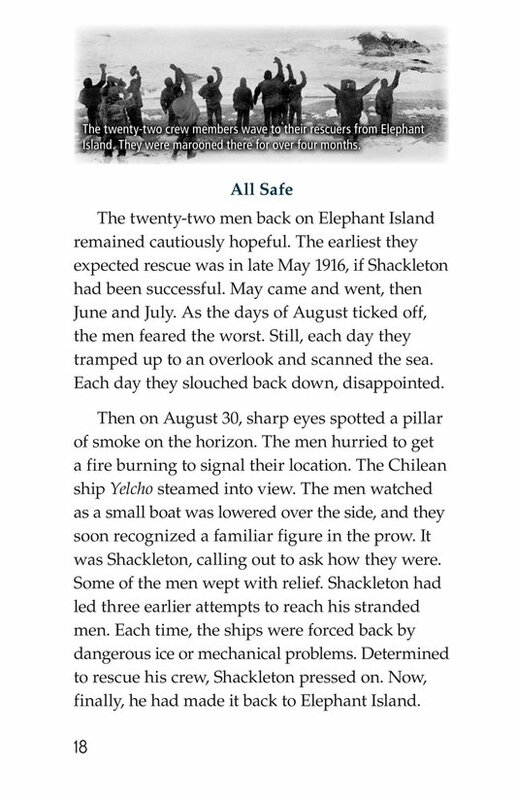 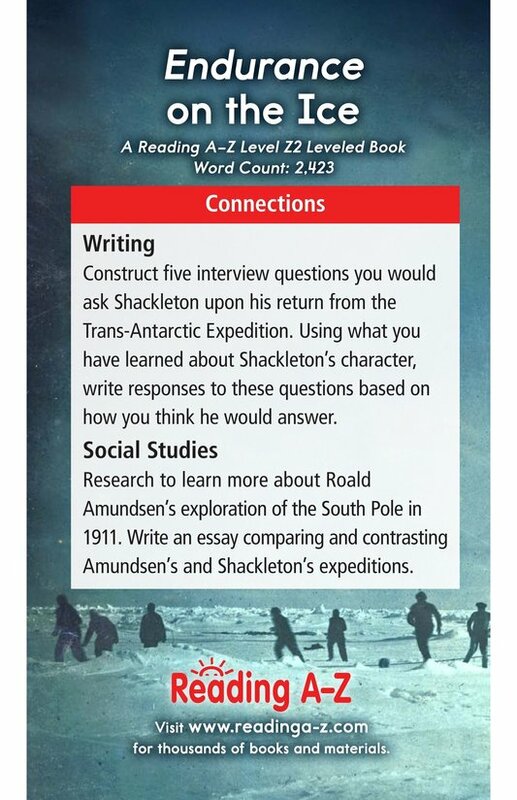 The book can be used to teach students how effectively sequence events and use dashes.